Seafood, Brown Rice, Ginger Dressing? Say YUM! Need a healthy dish or snack to pass? We have some great ideas for you! Try this twist on traditional stuffing for Thanksgiving! Quinoa is a gluten-free superfood that is high in protein containing all nine essential amino acids. Serve this as a side or this can stand alone as a filling meal for Vegetarians and Vegans alike. Our Brown Rice Salad is great as a side for grilled or roasted proteins. National Pepper Month is here! What is your favorite way to eat Peppers? 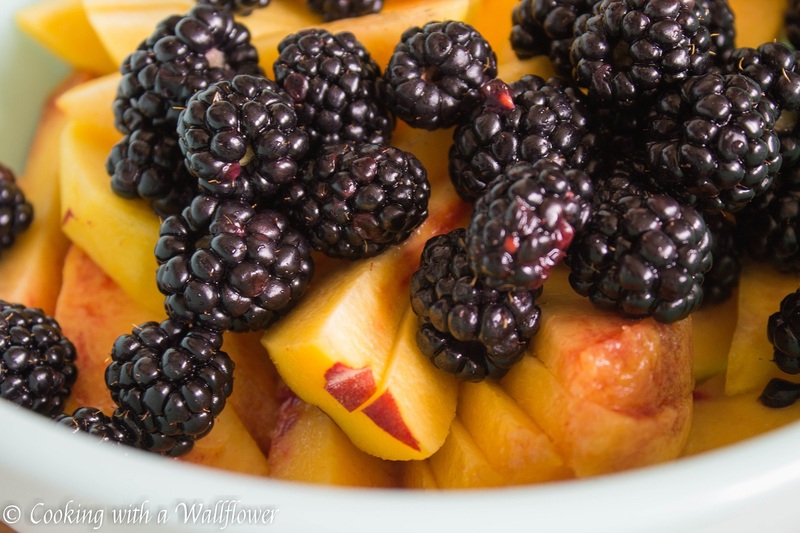 Crunchy, sweet, light, colorful and healthy! Try this fresh twist on Slaw with Brussels Sprouts, Lemon, Chives and Dill! Fresh shrimp and pineapple? YUM! National Apple Month calls for a tasty Waldorf Salad. Crunchy, sweet, and filling! 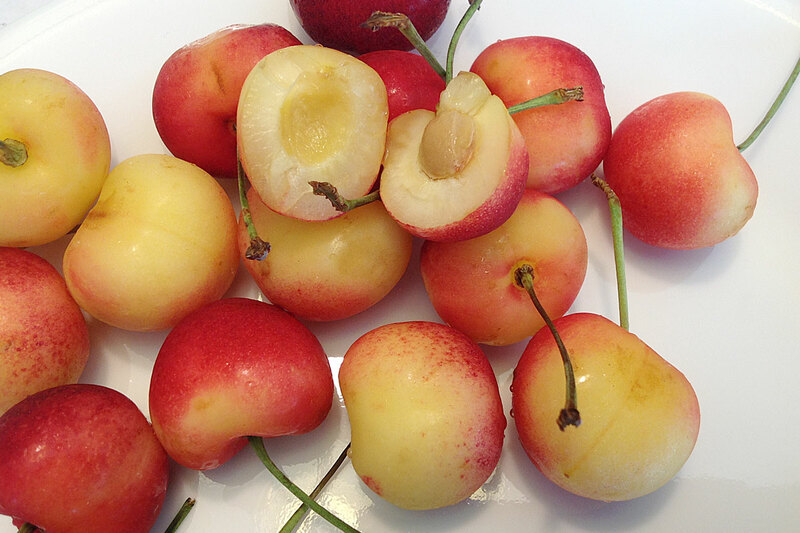 Try our Apple and Cherry Coleslaw to celebrate National Rainier Cherry Day! Preparation: Mix your serving of yogurt and combine the almond extract to your taste. Add the black pepper and apple cider vinegar and mix them into the yogurt and almond combination. In your jumbo salad spinner, add cabbage, carrots, diced apples, minced onions, and fresh cherries. Lastly, pour your dressing over your salad mixture. Shake all ingredients together, serve and eat. Place the corn in a frying pan on high heat, and allow the corn to char all the way around, turning every 3 - 4 minutes until the corn is tender and charred to your liking. Spray with unflavored cooking spray, season with pepper, paprika and turmeric to taste. Roll the corn around to make sure it is evenly seasoned all over. Cut corn off of the cob into a bowl. 1/4 cup = 1 Starch Serving. It's National Corn on the Cob Day! Try our easy Grilled Cilantro Lime Corn recipe! Heat grill over high until hot. 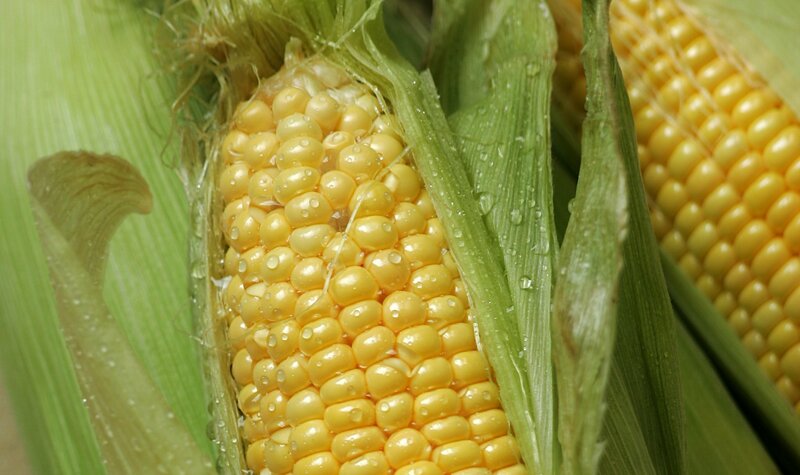 If you want a bit of a char on the corn, pull back a few of the husks on each ear of corn. Place the corn directly on the grill, cover, and grill for 15 to 20 minutes or until the husks are charred on all sides, rotating occasionally. Remove and let cool. Remove the husks from each ear of corn. Spray unflavored cooking spray over each ear of corn. Place the corn on a serving platter, sprinkle with the smoked paprika, add fresh lime juice, sprinkle with cilantro, and season with and black pepper. Cut corn off of the cob into a bowl. 1/4 cup = 1 Starch Serving. Try our Mixed Greens and Fruit Summer Salad - it's perfect for National Salad Month and National Strawberry Month! Mix all ingredients. Chill in fridge (if desired). Enjoy! Cauliflower and Corn Salad is an easy side dish - a little sweet, a little crunchy AND a little spicy! Updated: 9/27/18 Packed with flavor, this Mexican Quinoa Salad recipe is perfect for lunch! Preparation: Sauté the garlic and jalapeño using unflavored cooking spray in a pan for a few minutes. 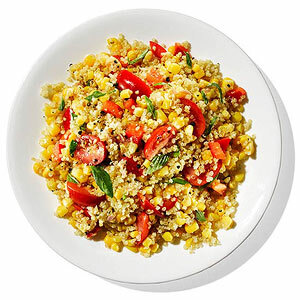 Mix with cooked quinoa, cooked corn, chili powder, and cumin. Stir. Top with chopped tomato and garnish with cilantro and lime juice.